Yes, the pups have arrived! 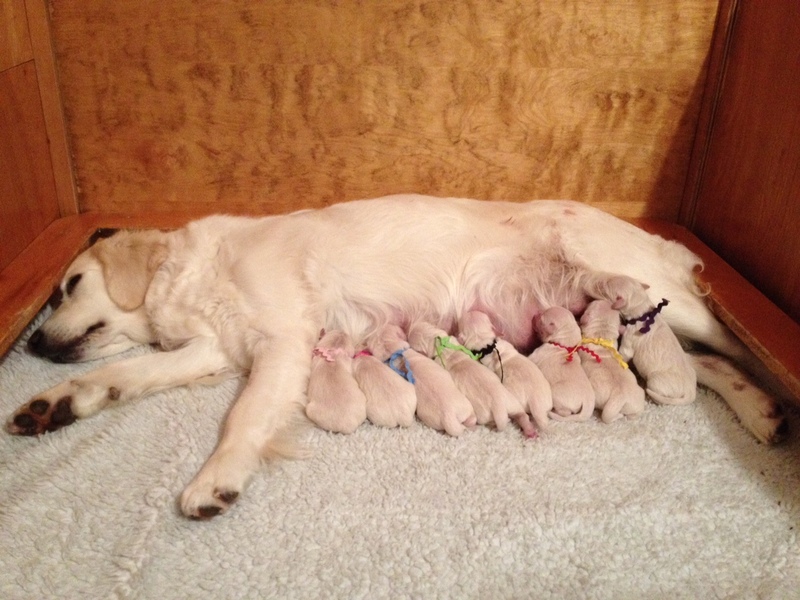 On January 19, 2015 Flora gave birth to eight puppies: 3 girls and 5 boys. 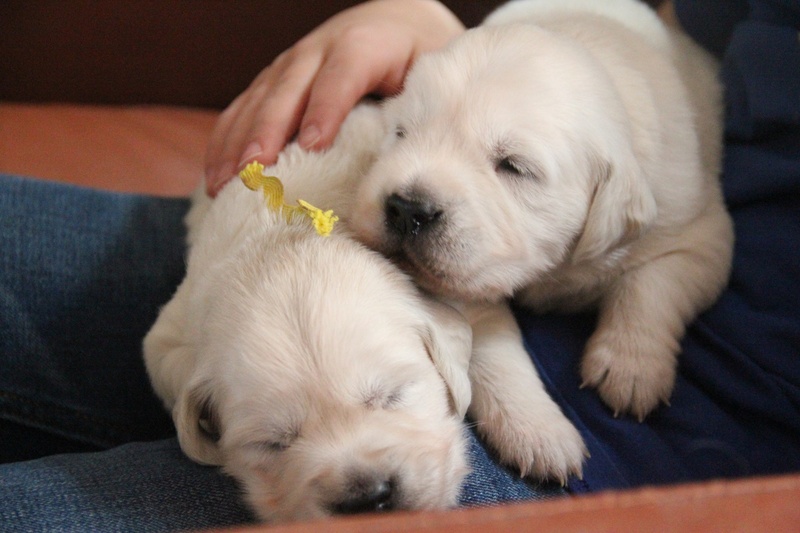 All pups were born healthy and weighed between 15 1/2 – 19 1/2 ounces. The biggest one was a girl – she’s the one with the light pink ribbon. The coloured ribbons, while adorable, serve a purpose. 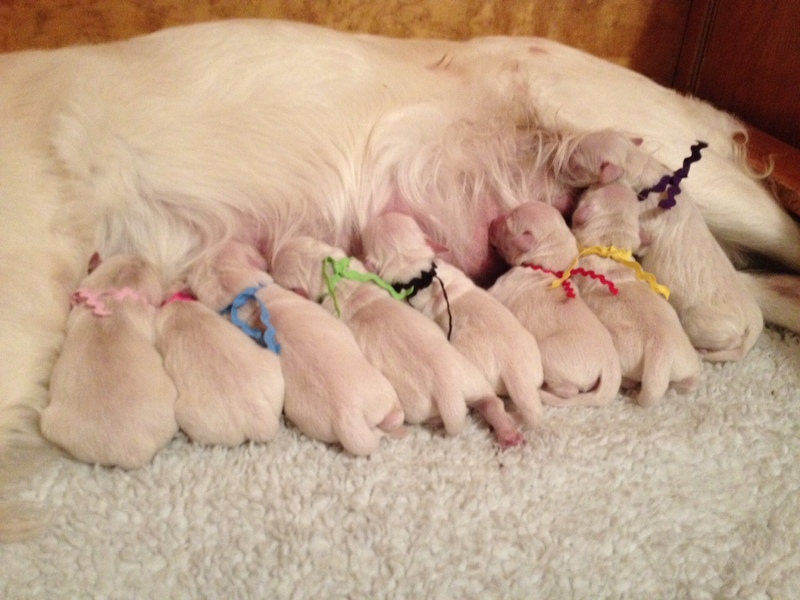 The ribbons help breeder Catharine keep track of the pups that she weighs daily to ensure they are growing. 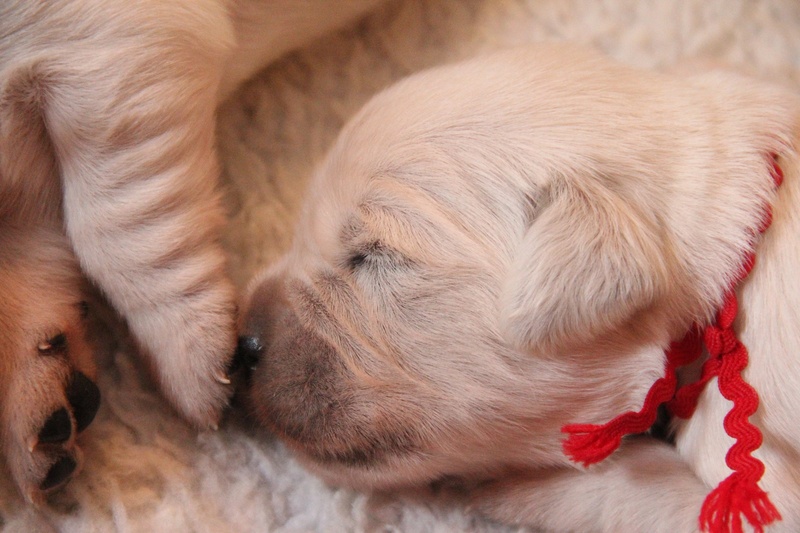 The pups in the photo below are only hours old. 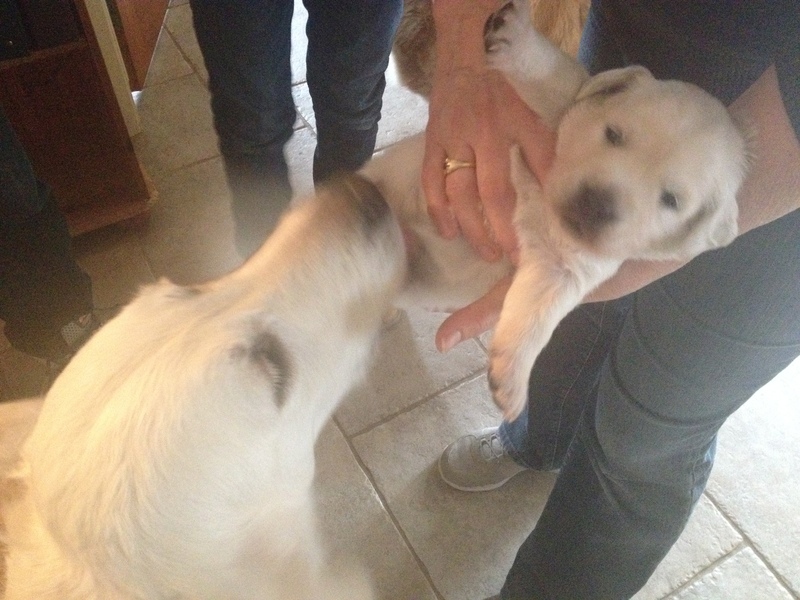 One of these (male) pups will be ours by the middle of March. Wowza! The puppies are born! Photo courtesy of Braefield Goldens. And while mama Flora was a tad exhausted and busy, she’s also doing well. Flora busy with her pups. Photo courtesy of Braefield Goldens. Catharine has been sending us email updates with lots of photos and video. 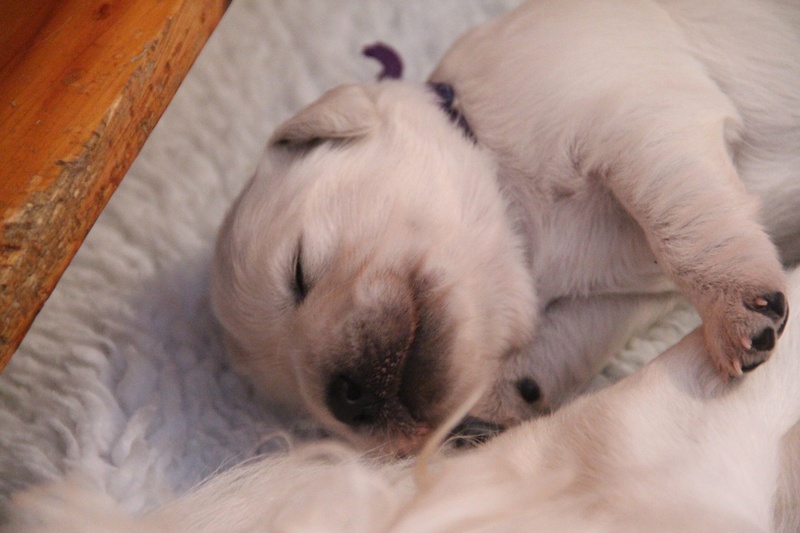 Here are a few photos of the pups at 2 weeks old. They grow so quickly! To say they are cute is totally not necessary, but they are so darn cute! At this stage, it’s eat, sleep, poop, repeat. 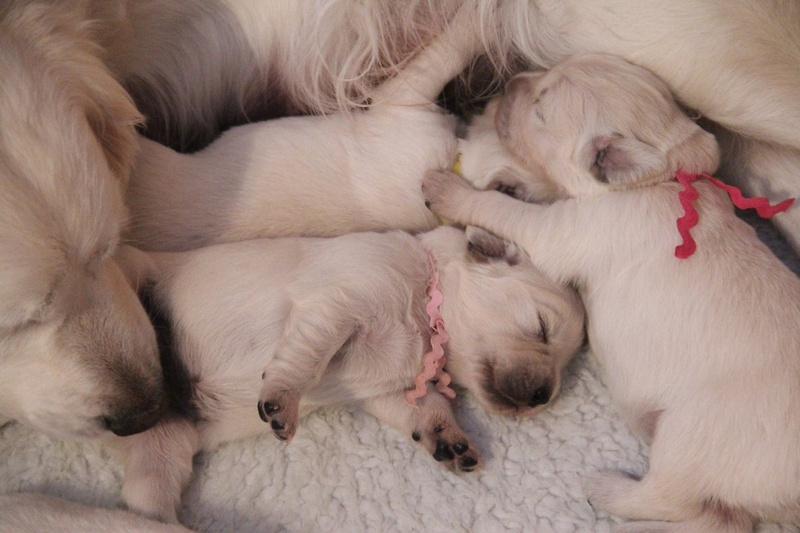 Pups at 2 weeks old. Photo courtesy of Braefield Goldens. Miss Purple at 2 weeks old. Photo courtesy of Braefield Goldens. Mr. Red at 2 weeks old. Photo courtesy of Braefield Goldens. 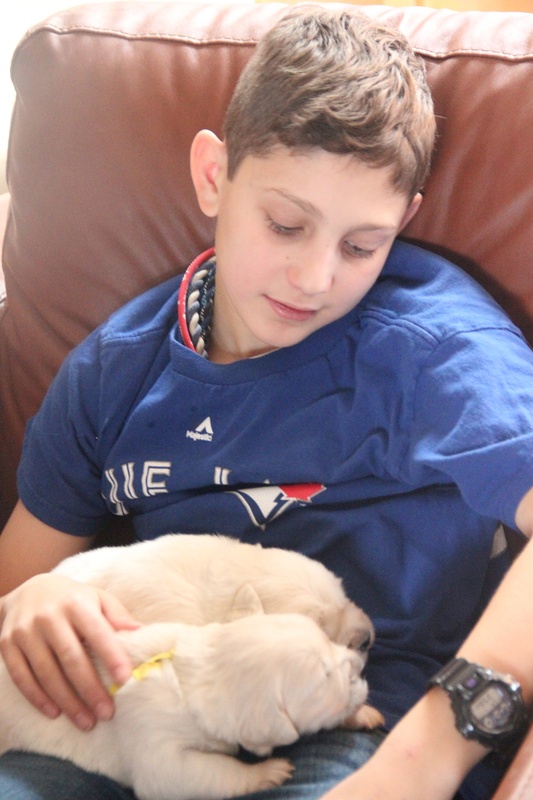 We visit the pups when they are 3 weeks old. By that time, they’ll have opened their eyes and won’t be so sleepy. We can hardly wait. I guess there is no turning back now. This is really happening. Oh that was me talking to myself. 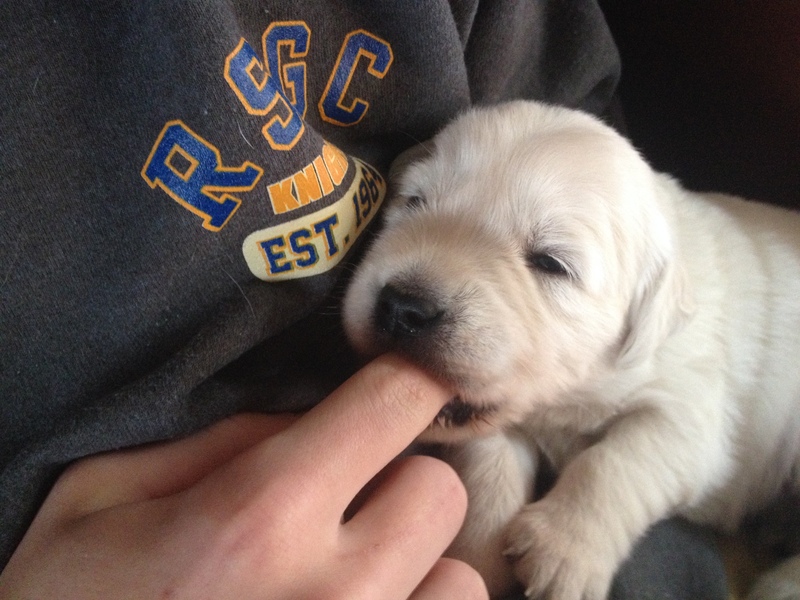 Really, how hard can this puppy thing be? I almost used the Wizard of Oz once again for this post’s title, like follow the yellow brick road, or off to see the wizard. But I refrained, sort of. We followed the QEW to get to our breeder. Now that you exhausted your research, and trust me it can be exhausting, and after family discussions and compromises, it’s time to contact the breeders you have selected. We chose to go the breeder route, but if you decide to go the ‘rescue’ route, then off to visit your local shelters. In our case, we first contacted Catharine at Braefield Goldens through the website. The first step was to complete and submit an online questionnaire. 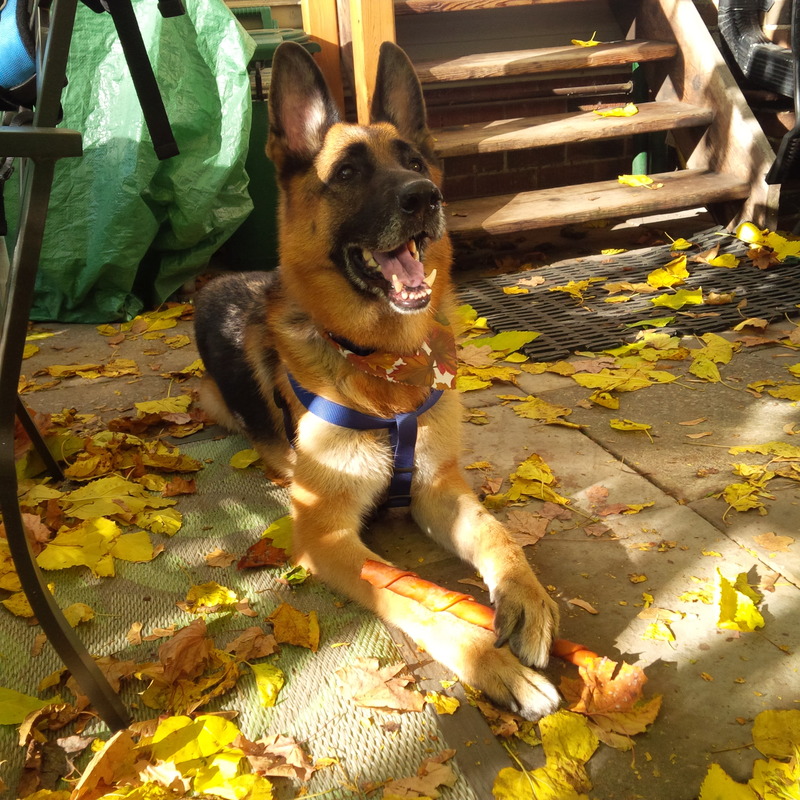 There were many questions: do you have a securely fenced yard, who will be the primary caretaker, do you live in a house or a condo, do all your family members want a dog? The questionnaire also clearly asks: “Goldens live approximately 10 to 14 years. 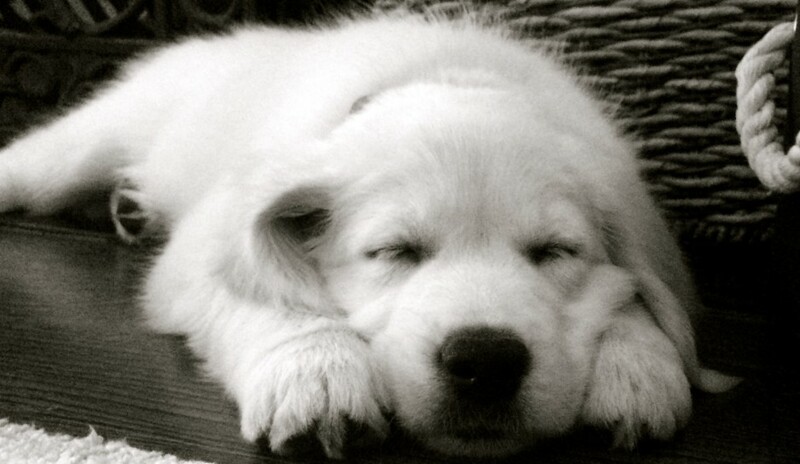 Are you committed to care for this Golden Retriever’s needs throughout his/her lifetime?” Deep breath… yes we are! Within a week or so we received an email back saying that two litters were expected by the end of January. Hurray. I emailed Catharine a few times with more questions, and to set-up a time to for all of us to meet in person in January. I wasn’t sure what to expect during our visit. 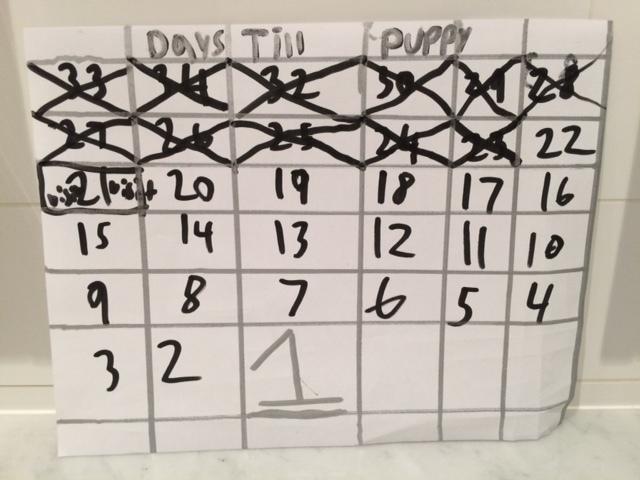 Were we going to be peppered with questions and, in the end, would we be deemed worthy and fit to have a puppy? I was a little nervous going in, but I had nothing to worry about. Our interview visit was actually a lot of fun and friendly. It felt like we were visiting with friends. I can’t really remember if Catharine asked us specific questions, but we certainly had questions. We asked about the personalities of the mamas and papas, and what to expect once the pups were born. We learned a lot, and got more excited as we gained information. What surprised me the most was how Catharine pointed to each of her dogs and explained how they were all related, how many litters some of the dogs birthed, how old they were. There was a grandmother and grandfather, aunts, half brothers and sisters. I needed a family tree to help me keep track of the linage. 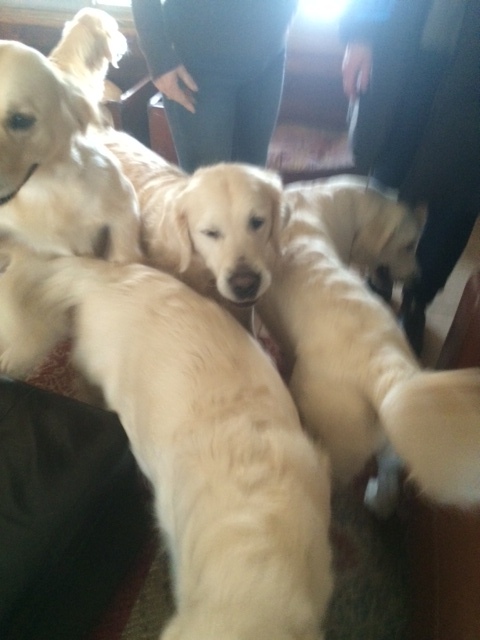 Plus the dogs really didn’t sit still for too long and I kept confusing them. And then it happened. Catharine asked if we wanted a pup from Flora or Hope, boy or girl? Yes, we passed whatever test there was to pass, and we are worthy. Silent cheer! Flora had an earlier due-date than Hope, and we really didn’t want to wait an extra week or two. 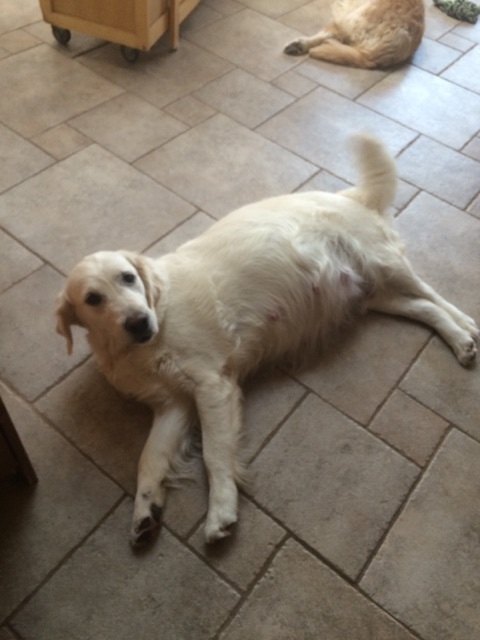 Plus Flora was expecting 8-11 pups, whereas Hope was only expecting 2-3. Both Flora and Kingston are a pale golden colour. Teddy, the other papa and Hope’s mate, is more golden. But the final discerning point was Flora’s personality. Hope is a very quiet, calm and sweet girl. I thought perfect for me! But if you have read the other posts, I’m not exactly getting what I want in this whole process. As Catharine explained, Flora can be mischievous and sneaky. Catharine showed us a photo of Flora where she somehow got in, behind a fence that was put up to protect the indoor Christmas tree from wagging tails! As soon as the fence went up, Flora somehow managed to get behind it and sit next to the tree, proud of her accomplishment. That sealed the deal for my boys, and all three wanted a pup from Flora. At the time of our visit, Flora was definitely big and breathing hard. She was due less than a week after our visit, Catharine measured her temperature daily to try and estimate her due date. We thought she would give birth any minute! After an hour and half visit, we left, eager to hear of any news. Catharine promised to email updates and send pictures. Like everything else so far in this process, we had to be patient and wait. Lucky for us we didn’t have to wait too long. We got an email two days later that Flora was in labour! I can’t explain how excited we all were. I emailed our family and friends and I called my mom with the news. We could hardly wait to hear more. How about you? Braefield Goldens are not ‘white’ but a pale golden colour, and some breeders will refer to them as ‘cream-coloured’ Goldens. 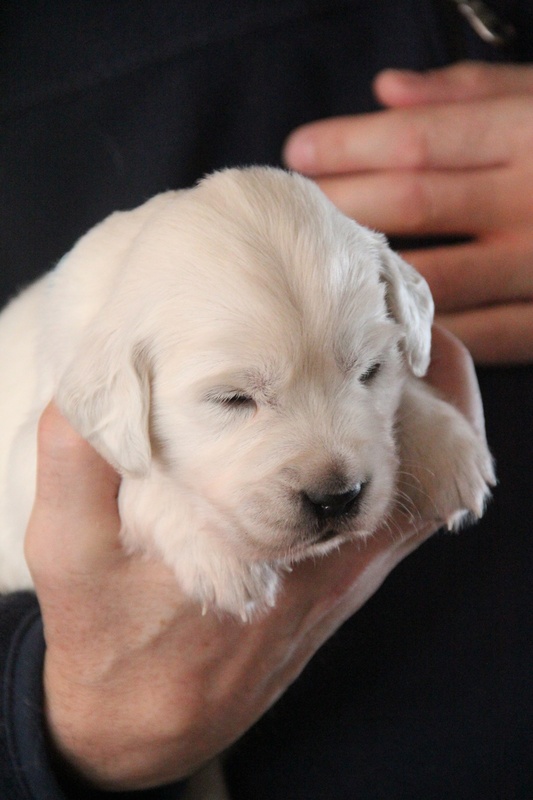 Also, no breeder can guarantee that a pup will not have any genetic faults or health problems. The parents are tested throughly for any health issues before they breed them, and this can help reduce the incidence of future problems.